Patricia M. Royce, age 76, wife of 58 years to Paul Royce Sr. of Walnut Ave East Hampton, daughter of the late Robert Stark Sr. and Rita Lattrell entered into eternal rest with her family at her side, on March 8, 2019 at the Marlborough Health Care after a brief battle with cancer. Besides her husband she leaves her son Paul Royce Jr. and wife Christine of Higganum, grandchildren Steven and Elysa, brother Robert Jr., and his wife Toni and sister Marge Lagendyk all of FL. Besides her parents she was predeceased by her sister Helen Wright and her brother James. 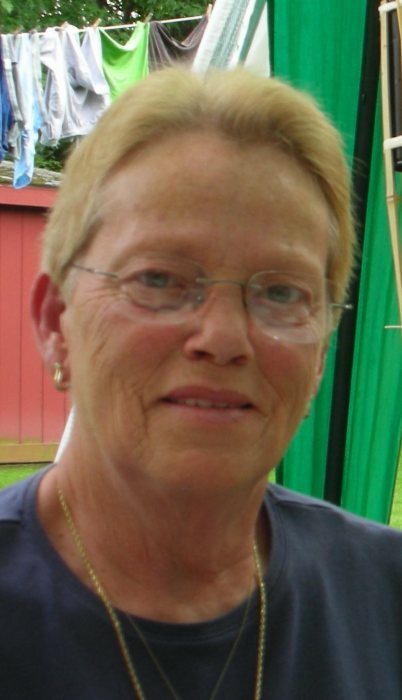 She also leaves behind her favorite niece Terry-Lynn and her best friends Donna, Joane, and her furry buddy Taco. Pat was employed for 28 years for the State of CT Dept. of Labor, retiring in 2004. Patty was also a member and Past President of the East Hampton Fire Department Ladies Aux. Funeral services were private.